Opuntias are multipurpose plants that are increasingly being used in agricultural systems in arid and semi-arid areas. Due to its high water-use efficiency, it is particularly useful as forage in times of drought and in areas where few other crops can grow, and it is now considered a key component for the productivity and sustainability of these regions. This publication presents current scientific and practical information on the use of the cactus Opuntia as forage for livestock. Opuntias are multipurpose plants that are increasingly being used in agricultural systems in arid and semi-arid areas and are considered a key component for the productivity and sustainability of these regions. 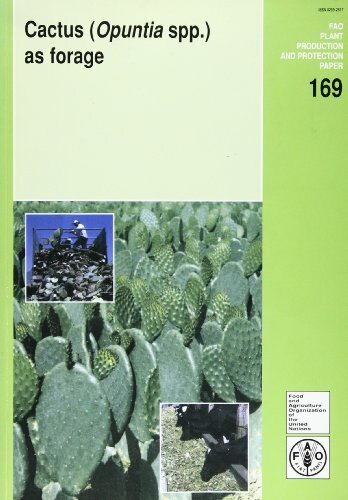 This publication, initially printed in Santiago for field purposes, presents current scientific and practical information on the use of the cactus Opuntia as forage for livestock in various countries. Owing to its high water-use efficiency, it is particularly useful as forage in times of drought and in areas where few other crops can grow. It is estimated that worldwide 900 000 ha of Opuntia are cultivated for forage production.